DTM: Good looking band, attractive lead singer. Etc. Etc. From moment one, they're going to turn you into fashion icons and treat the music second. How are you going to make sure they keep the music in mind over the other stuff? 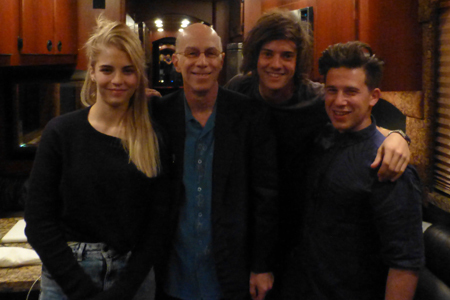 London Grammar: The very first thing that we did, is when we put our first song online was we made a conscious effort to not have a photo or much information…we didn't want to be judged on anything but the music specifically. It kind of worked.